The new footbridge, 72 meters long and 2 meters wide, sits approximately 7 meters above rail level. 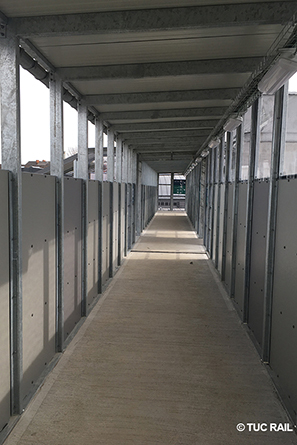 It consists of 3 metal stairs, 3 elevators to the platforms, a ramp for people with reduced mobility and a concrete staircase to the “des Villas” parking lot. 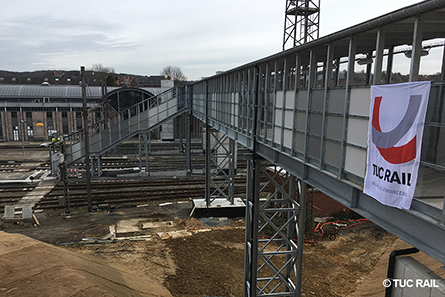 to make the Ottignies station accessible to people with reduced mobility. 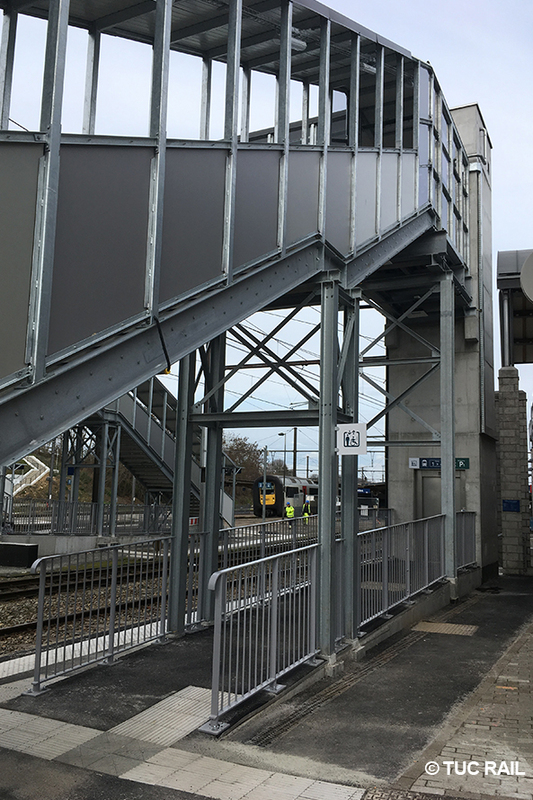 This sustainable steel and concrete structure was designed taking into account the current track layout but also the future layout of the tracks and platforms as part of the RER works to quadruple Line 161. In mid-2022, two new stairs, a new elevator and a ramp will be installed. 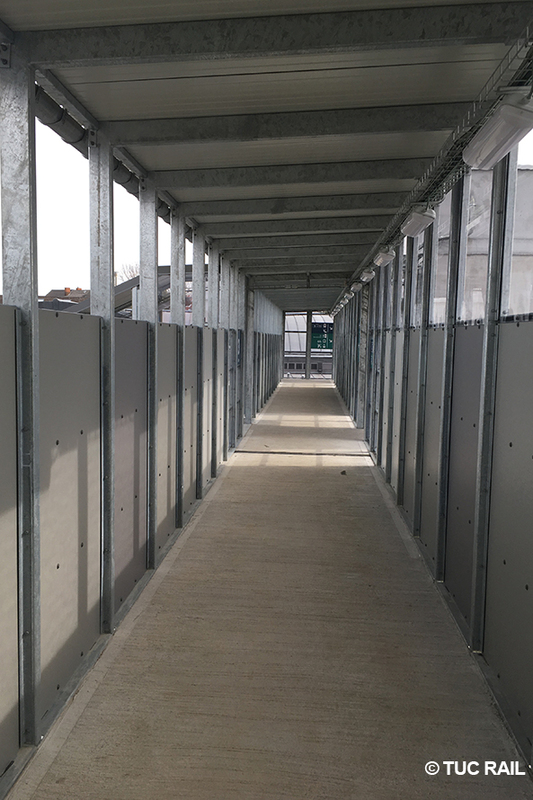 The old concrete footbridge will be dismantled during an exceptional interruption of rail traffic scheduled for the summer of 2019. This contract also included various modifications to improve passenger reception at other stations on Lines 124 and 161.